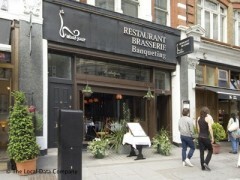 About: Traditional Italian Brasserie and Restaurant. Freshly cooked produce with a daily range of seasonal specials. Private dining-room for business meetings and/or buffet lunch, cocktail parties and formal dining. Parties up to 150 people catered for. This is a wonderful restaurant! What it lacks in atmosphere it makes up for in food and service. My friend has some food allergies but the chef was happy to accomodate her - not easy when you're allergic to garlic at an Italian restaurant. The food was delicious and prices were excellent and our waitress was lovely. We are now making it our new regular meeting spot! Don't be put off when you walk in the restaurant - it needs an upgrade and maybe some mood lighting and music but otherwise it is fantastic!